With so many people coming to Washington and becoming famous for political reasons, we thought we would try and find some celebrities that originated from our very own city! Dave Chappelle – The stand-up comedian is perhaps best known for his sketch comedy series Chappelle’s Show which aired from 2003-2006 but what many people don’t know is that the funny-man originally began telling jokes in his hometown of Washington DC. Al Gore – While he is related to politics, Al Gore rose to prominence as US Vice President under Bill Clinton but not everyone is aware that Gore was raised and went to high school in DC. Gore has since received a number of awards including the Nobel Peace Prize as well as a Grammy for his book, An Inconvenient Truth. Alyson Hannigan – The actress is probably best known for her role as Lily in How I Met Your Mother as well as other TV shows such as Buffy the Vampire Slayer and the American Pie film series. Hannigan is a DC native and was raised in the city as a child. Samuel L. Jackson – A man that needs no introduction. Jackson was from Washington DC before he would go on to become one of the most famous faces in Hollywood. 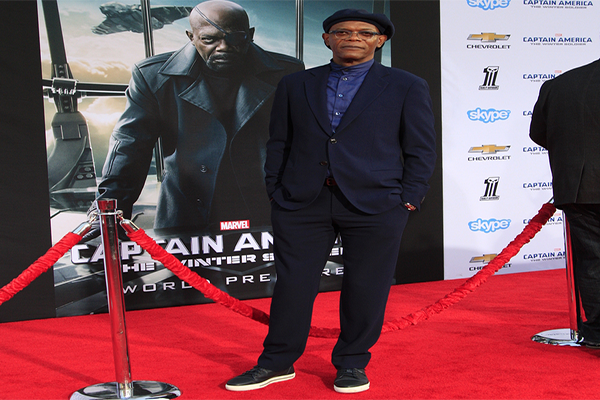 At 67, he is still going strong and is starring in a host of major films in 2017. Louis CK – Another famous comedian who has gained further prominence in the last few years. Louis CK didn’t live here for long but he was originally born in Washington DC and he continues to dazzle us with his observational comedy to this day. Marvin Gaye – The singer who came up with classic songs including “What’s Going On” and “Ain’t No Mountain High Enough” was born in DC and began his career by signing in our very own city. If you’re a fan of his music then there are many tribute acts worth seeing in the city. Duke Ellington – The legendary artist was famous for being a pianist, composer and leader of a jazz orchestra. His career lasted over fifty years and before he was based in New York City, he was born in our very own Washington DC. Katherine Heigl – The actress has starred in several romantic comedy films and is one of the best-known stars in Grey’s Anatomy. She was raised in Connecticut but was born in DC. We didn’t know this and found it quite interesting. Connie Chung – The journalist has been a stalwart in the news industry for many years and will definitely be most recognized for her anchor work on US television networks such as CBS, CNN, NBC and MSNBC. She has been all over the United States but originally hails from DC. Chris Meloni – The actor is best-known for protecting the streets of New York City as Detective Elliot Stabler in Law & Order but as you have probably guessed, Meloni originates from our Capital long before he ever took to the big stage. His more recent work has seen him appear in the drama Underground which debuted this year.